University of Missouri–St. 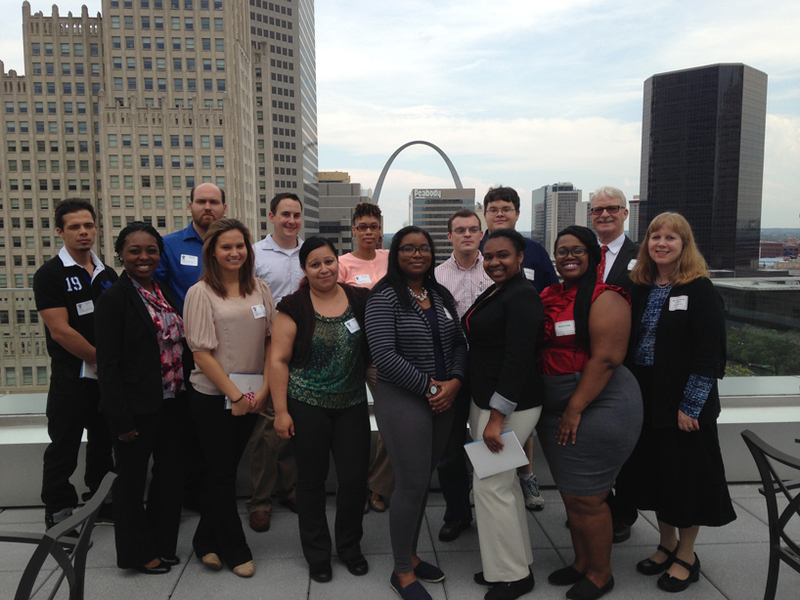 Louis pre-law students and advisers recently participated in an afternoon tour of Scott Hall, Saint Louis University’s law school located downtown in St. Louis. Pictured on top of the 12-story building are (from left, front) Deja Patrick, Jasmin Robles, Judith Flowers, Brittiny Martin, Takeya Rhodes, Kiara Drake and Grace Derda. Also pictured are (from left, back) Peter Wilson, James Heitman, Ian Gilbert, Carmelita Nobles, David Jones, Devon Roberson and Thomas Knoten. UMSL offers a pre-law track, which you can learn more about at the UMSL College of Arts and Sciences website.